[WSO2Con EU 2018] Is your Bank Millennial Friendly yet? Is your Bank Millennial Friendly yet? 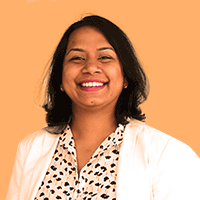 Seshika heads the financial solutions team at WSO2 where she builds financial industry-specific solutions using WSO2's middleware platform. She also works closely with potential customers looking to deploy a financial solution, providing ongoing consulting. Throughout her career, she has had extensive experience in providing technology for investment banks, regulators and stock exchanges from across the globe.